You want to make sure you have a good variety of clothing and colors to go with different backgrounds and props. *Patterns can take attention away from the face. Guys- For a traditional portrait bring medium and dark colored sweaters or shirts as they photograph well. For the casual and on-location photos dress comfortably with jeans, shorts and shirts you really like. Girls- Bring the clothes you feel best in. Don’t forget your prom dress, they make gorgeous portraits! Bring a few long sleeved sweaters or shirts even in the summer for a more traditional look. When you are ready for casual photographs have jeans, shorts or summer dresses available. Bring your favorite outfits; they are your favorite because you feel good in them! Hair- We recommend you have your hair cut and/or highlighted 2 weeks before the session so you look more natural. Please don’t try a hairstyle drastically different too close to your session, as you may not like it! Girls put on your evening makeup style. A little heavier/darker is a good thing. Remember to bring your makeup with you, as reapplication will be necessary. Guys shave within an hour of the shoot if you have a heavy beard. A 5 o’clock shadow can’t be removed through retouch. Everyone- USE cover-stick on any blemishes, scars or moles you want to hide. Also, please bring face powder in your skin tone to the session as you will need to re-apply it many times through out the day. *A helpful hint: before the session stand two feet in front of a mirror and dab cover-up makeup on any noticeable blemishes, dark circles etc. If you can’t see them in the mirror they will be less visible in your portraits. On all reorders basic retouching is included. On special requests we can have braces or stray hairs or glare from glasses removed for an additional charge. We recommend you borrow a pair of empty frames or have the lenses removed by your optometrist to eliminate the glare. Most opticians will help, but you must give them plenty of notice. We start senior session approximately at 3:00 P.M. Monday through Thursday. The best lighting for outdoor portraits is early evening. We start then because the sun is lower in the sky, creating softer light for portraits, and you won’t miss much work or school. With the new advanced digitally artistic techniques we are using, there are no proofs for you to take home. We invite you to return to the studio at a scheduled convenient time, with any of your family who want to be part of the ordering process. At this time we will view the images, sort out your favorites, you can view them in a variety of sizes and discuss your needs and wants. This allows us to note each of your favorite images and to find the best possible price for all the images you select. Please understand you’ll be placing your order at this time. Our clients who have used this technique to their advantage have found it to be very convenient. The benefits of digital technology are remarkable and this ordering process respects your valuable time. Once an order is placed 50% of its total will be due. Typical orders take approximately 6 weeks to complete. 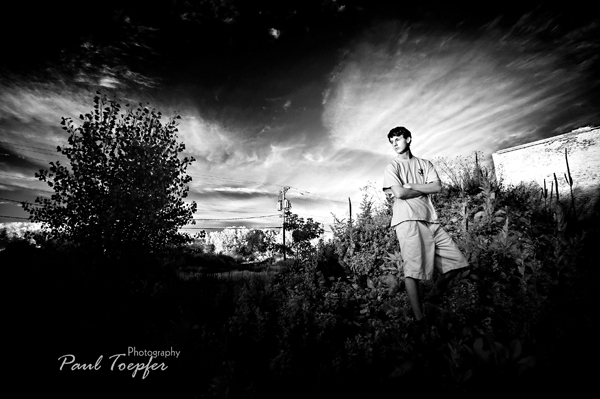 By choosing Paul Toepfer Photography we know you want the best in Senior Portraits. Because your portraits will be a memory for a lifetime, any unwanted blemishes need to be cleaned up. The work is often done digitally, but if additional smoothing is needed your portrait will have artwork applied. A glaze is placed over all portraits for protection. You will be called when they are ready. The finished images will be presented to you in a professional portfolio box. There are a variety of frames available for you in all sizes. To determine the size and shape of your frame, consider the wall space where it will be displayed. There is a tremendous difference between a 16 x 20 and a 30 x 40 when displayed over the same sofa. Interior designers recommend that a portrait should occupy at least 50% of the wall space available. If not, the viewers’ attention will be drawn to the wall rather than the portrait. Most 8 x 10’s portraits are appropriate for a desk/table display. They aren’t good for wall display because the image is too small, needing to be held close for comfortable viewing. 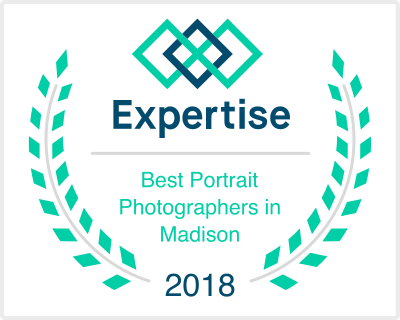 For choosing Paul Toepfer Photography you will receive 25% off your frames and all framed images are guaranteed for life. Your Yearbook Photo: Two photos will be made and sent to your school for the yearbook. Please keep track of your yearbook deadline and check to ensure your photos arrive. If you are not sure about the date, ask your school yearbook advisor.